What: The workshop will be practical and hands on. We’ll learning simple cooking techniques, what foods to combine for nutritional value and interesting flavour combinations. They’ll also be a chance to discuss and learn the reasons to being and becoming a vegan. Working with seasonal and organic ingredients we’ll make and prepare a meal, from starter, mains and a pudding. We’ll all get to share together the prepared meal in the end. Why: There are many different reasons to become vegan or eat a plant based diet. They range from the food being healthier for you, the environmental impact, to a plant based diet being lower in cost. Yet the best thing is tasty wholesome dishes and meals. 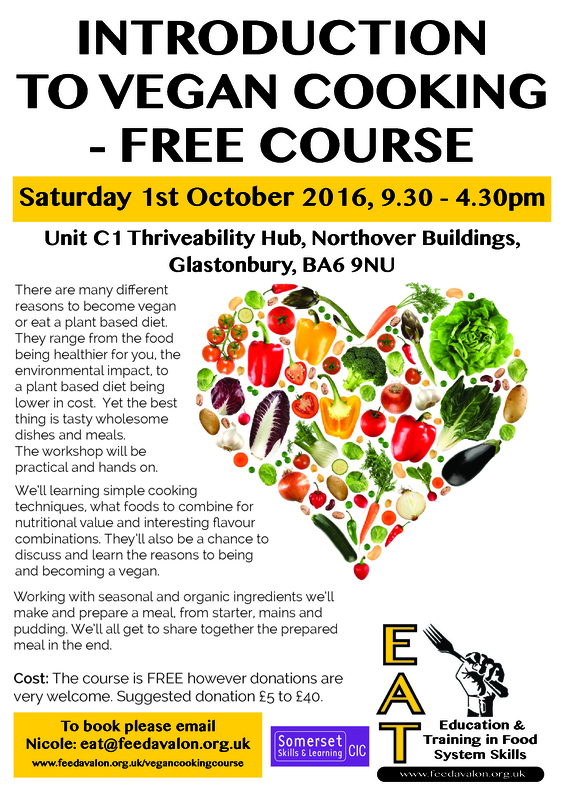 Cost: The course is FREE however donations are very welcome.